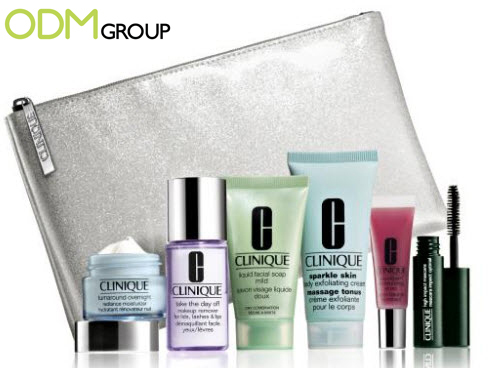 Clinique is giving away a free promotional cosmetic pouch for at least $70 worth of spending. This cosmetic pouch has a chic design and can be used to store cosmetics. It can also be used as an ordinary pouch to store other items such as accessories. It has a high perceived value. Read on to find out how the cosmetic pouch is used effectively as a promotional product. First of all, who is Clinique? What is so interesting about this promotional cosmetic as a promotional gift? The cosmetic pouch has a glossy finish and a chic design. It will appeal to the female beauty market segment for Clinique, thus serving as a great complementary promotional gift for its cosmetic products. The cosmetic pouch is slim, handy and portable. It gives convenience to customers who want to bring their cosmetic products everywhere. It has a high perceived value which will appeal to potential customers. How can a cosmetic pouch affect sales? Clinique has branded its logo on the zip of the cosmetic pouch. This will increase brand awareness and attract new potential customers. It will also enforce brand recall and create reminder advertising. This will encourage repeat purchases which increases the customer base of Clinique. The free cosmetic pouch will also spur impulse purchases and encourage customers to spend more in order to be able to receive the promotional gift for free. Ultimately, this will increase sales and profits for Clinique. How can Clinique improve on the branding of the cosmetic pouch?